All in one sleek package. The GENKI Bluetooth Audio Combo gives you the freedom and convenience of using your favourite wireless Bluetooth headphones when you’re gaming on the go. The GENKI Bluetooth Audio Combo with premium quality and super low latency supports aptX-LL codec and even allows you to pair two headphones so you can share the fun. 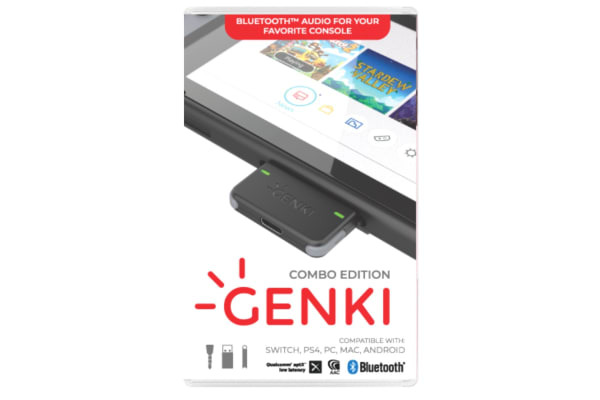 Supporting the Bluetooth 5.0 standard, GENKI is compatible with all the Bluetooth headphones out there today. GENKI follows the Nintendo’s USB audio protocol and therefore receives power directly from your Nintendo Switch and it only draws 0.02 Watts. And because a battery isn’t needed, there is absolutely no risk of bricking or damaging your console. And when you’re travelling, a pass-through PD (power delivery) port allows you to safely charge so that you can keep gaming on-the-go for longer periods of time. 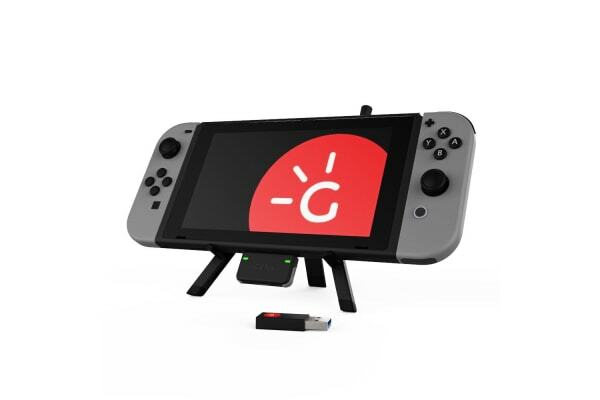 The dock adapter is a simple USB adapter enabling you to use GENKI with your Nintendo Switch docked. 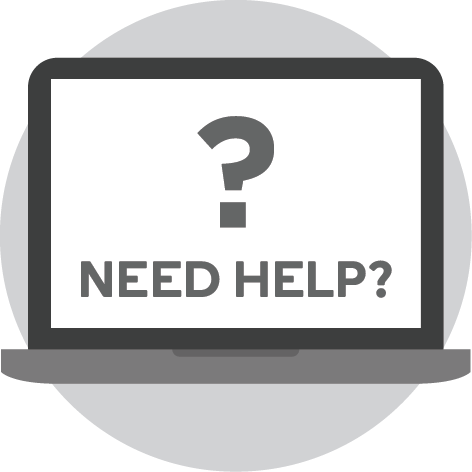 Just plug it into any of the three USB ports in the dock; it can even be safely tucked inside the back panel to be hidden. 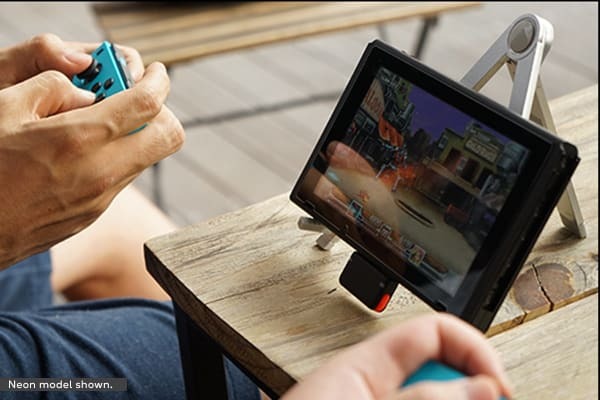 The portable kickstand is made to support a better tabletop experience when you’re playing on-the-go with friends. It’s collapsible and built with a sturdy metal frame. Genki has explored three voice chat options since the dawn of Fortnite. Since your voice is analogue, it doesn’t have to be converted and it can maintain the best quality and latency for quick voice chat responses in portable mode.